Click here to be notified of changes to this page. 18 May - Auction of Promises - Town Hall. 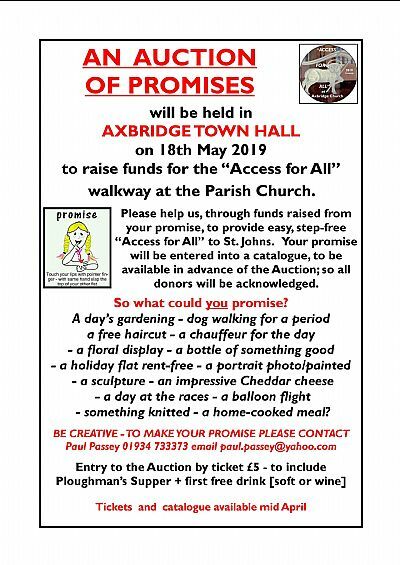 In aid of the Access for All project. 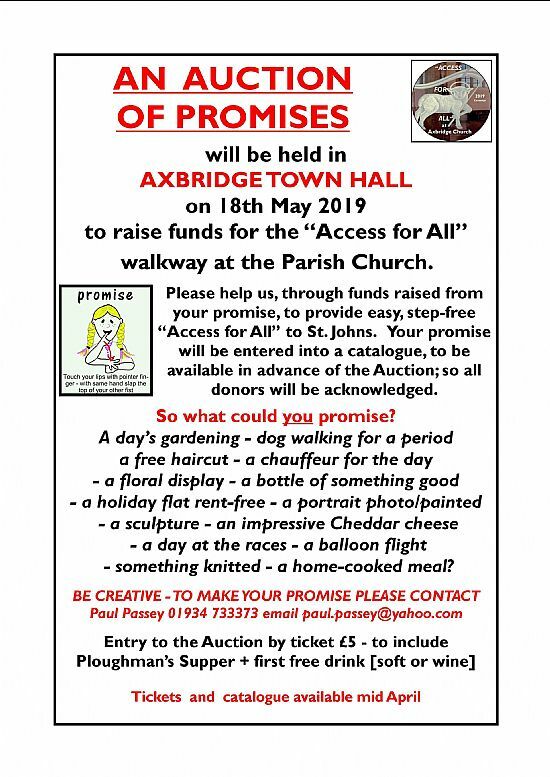 15 June - Axbridge Church Fete 2019. Good News! After the disappointment of no-fete in 2018, the Church Fete is now back in the diary for 2019 --- on Saturday, 15 June in the Garden of The Court, St Mary’s Street by courtesy of Mr & Mrs Jenkins. Although organised by Church Members and Friends, the Fete is an occasion for the whole Axbridge community, needing many hands to ensure its success. Volunteers from across the community will be welcome, to be involved in the organisation and/or to help on the day. 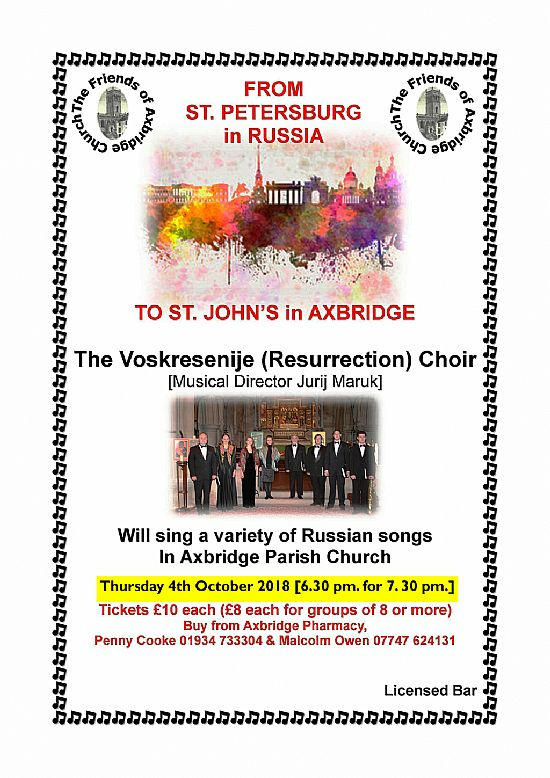 If you are ready and able to help, please contact Jan Rabbitts at janrabbitts@aol.co.uk (01934 732768) or Tony Strange at anthonyestrange@gmail.com (01934 733783). 10 September - History Society meetings (Shipham, Rowberrow and Star) move to the second Tuesday of the month.